Field Notes Index: Vol. 26, No. 6 — Wetland Studies and Solutions, Inc.
Approved Accotink Creek "Salt" TMDL - What it Means to You! On May 23, 2018, EPA approved sediment and chloride Total Maximum Daily Loads (TMDLs) for Accotink Creek to address aquatic life use impairments resulting from sediment and chloride (i.e., the use of “road salt”). The TMDL quantifies the maximum amount of the total pollutant that the water body can receive without exceeding water quality standards. Note that the previous attempt to enact a sediment TMDL for Accotink Creek in 2013 failed as it attempted to mandate flow rate reductions (as increased stormwater runoff leading to bed and bank erosion was deemed to be a primary reason for the excessive sediment). Because stormwater runoff is not a “pollutant,” the TMDL was not approved. On June 18, 2018, Ordinance 27-18 was introduced before the Annapolis City Council with the intent of maintaining the City’s current tree canopy percentage. The proposed measure would eliminate the credit given towards the preservation of trees above and beyond the 20% Forest Conservation Threshold – thus requiring 1:1 reforestation at a minimum for any forest clearing within the City of Annapolis. The bill was adopted on the first reader on June 18, 2018 and is now in committee. It is expected to be brought back before the City Council for additional discussion in September. On June 20th we welcomed clients and other members of the regulated community to our Gainesville, Virginia headquarters office for a short seminar on Section 106 regulations. 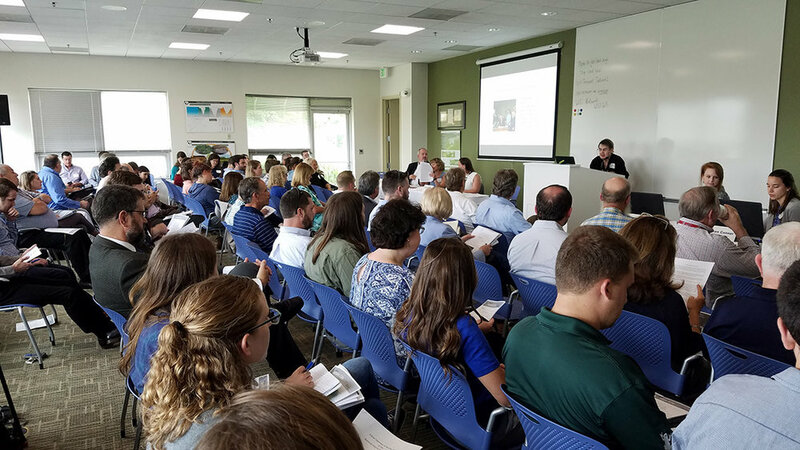 Our Virginia-based clients and partners joined leaders from local counties and cities to discuss the specifics of Section 106 of the National Historic Preservation Act. Experts from the US Army Corps of Engineers, the Virginia Department of Historic Resources (VDHR), and Walsh Colucci Lubeley & Walsh PC led our discussion about the new tribal listings, battlefield coordination, abandoned cemetery policy, and adverse effect determinations.